Here is a quick update on the shows and auctions, which happened at the back end of last year from the Dorset perspective. Starting with Berkhamstead in Oct. This was a very busy show with lots of buying and selling. 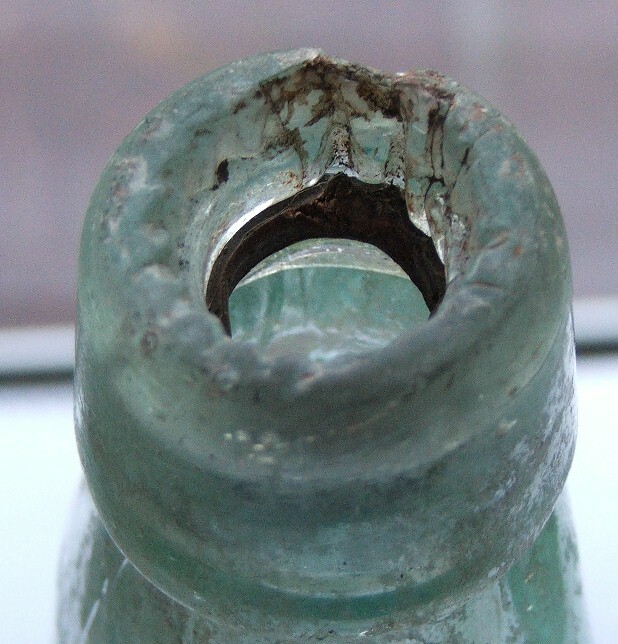 One of the highlights was the discovery of a small hoard of ointment pot lids from Baumbrough’s Leigton Buzzard which once contained his ‘never failing ointment’ being dispersed by the lucky finder. 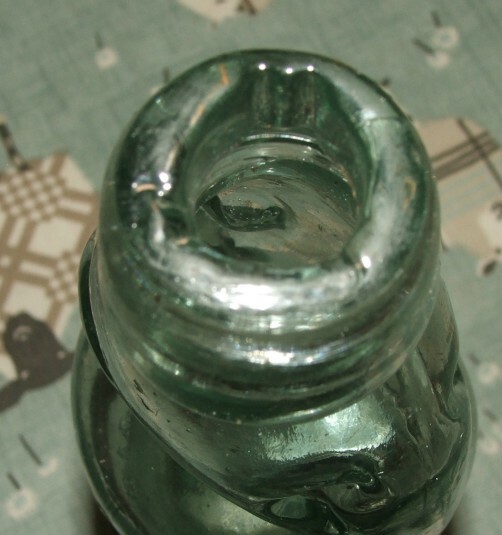 There has been some lengthy research been published on the British Antique bottle forum and BDUK. Most have found homes quickly and some have appeared on the internet for sale since. Some have even found their way back to decedents in Canada. Showing how finds quickly find appreciative homes these days. I had a good find in a rather innocent looking Codd, which has been reported in ABC Magazine. It looks like it could be a Days Patent or a Fosters patent variation. Both have a notch or groove in the lip to hold a pin or spring clip. So when this was depressed the marble was dislodged and the drink could be poured. This idea was not successful and few firms took the idea up. So they remain an elusive find. Nobbs Stent of Dorchester also are one of the firms to also use them but has additional serrations in the lip to hold a cardboard cap to prevent dust from getting on the marble. they were prone to lip damage as can be seen on the Nobbs Stent version pictured first below. The Original Winternational is fast approaching 21st Feb so one for the diaries. Alton Show was also heaving with goodies to be found and bought. For a full rundown of the show it’s best to take a look of Mick Wells vid on U-tube on the event, which captures it, far better than I could put in words. Looking forward to the next on in March. Kidlington of the Oxford Club Show traditionally marks the end of the annual show season. I have usually visited this one rather than stalling but decided to support it full this year and was not disappointed. There was a real buzz and feeding frenzy down in the sunken stage! Well done to Gary Wakeland for taking over the show running from Reg Ives who has been one of the custodians ensuring the shows success for many years. Long may it continue. BBR slotted a last end of year auction just a week or so before Christmas It brought out a fine list of Items. 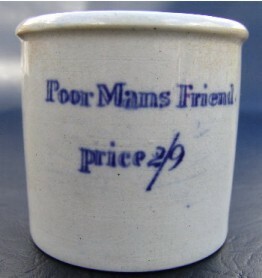 They have also had their Winternational at Elsecar and another auction. With the weather I think none of the Dorset contingent made it up to the show but from the news trickling back from the Forums and the twitchers network it sounds that a good time was had with plenty of new acquisitions finding appreciative homes. Their New Auction House Venture is also well underway and will be fully functional this year. We in Dorset wish Alan and Team continued success with this venture. AA Auction No 2 provided some items of interest for us Dorset-ites. 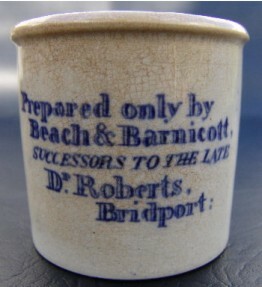 The 2/9 Beach and Barnicott pot seemed a bargain for some one at around £80. There were a good number of coloured skittles which are attributed mainly to the West country. Although a few Dorset and Hampshire firms used then as well. 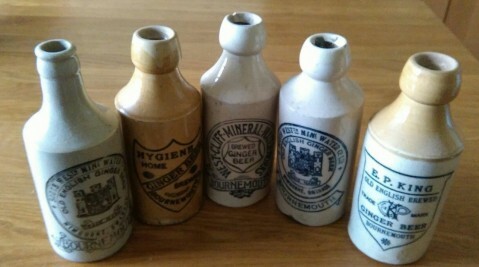 These were from Alans own collection and the prices reflected the rarety colour and condition on offer. These are seldom offered for sale. The Douglas Legg Skittle preformed well and a number found there way into a Dorset collection. I particularly liked the Yeovil one. On the Ebay Front there have been a few items, which could have so easily slipped under the radar. Not least the fairly innocent group of Dorset ginger beers. The uninitiated were probably surprised to see them go for in excess of £120. The South Westerns, Hygiene and Westcliff are relatively common and some had issues. For those in the know it was the E P King which was the real rarity with few known examples recorded it appeared to be in pristine condition.